January is over, early Daffodils are in flower and tradition has it that birds start to nest on February 14th so many gardeners may be tempted to think that we are nearing Spring. But remember that there are two full months to go where the night time temperature can fall below freezing and it is common to have frost and snow, even in the south east of England. I mention this to discourage you from starting off plants from seed too early, particularly half-hardy bedding plants and summer vegetables. Seed catalogues are a wonderful read for a winter evening and by all means get your plots planned and seeds purchased. But I suggest that you wait a good few weeks before sowing seeds unless you have a large heated greenhouse. 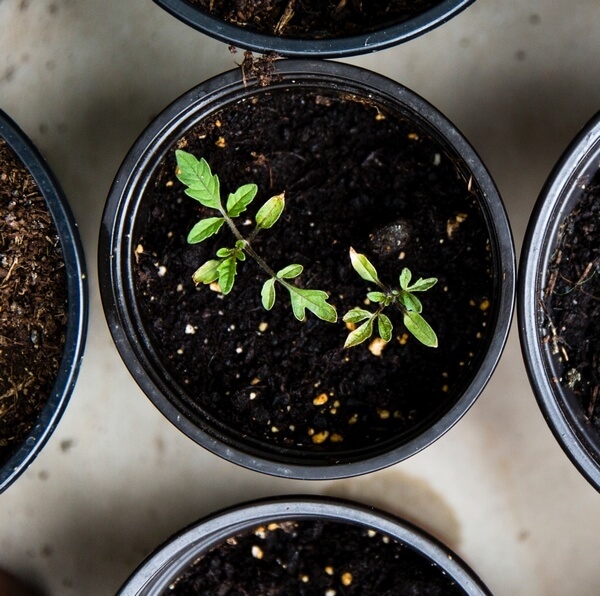 One reason is space: a tray of seeds may fit snugly on a windowsill but you will have potted those seedlings on into individual pots by the time they can go outside or even into a cold greenhouse in early May. And that takes up a whole lot more space! Another reason is temperature: seeds needs warmth to germinate, hence the use of windowsills. Germination indoors is fine but growing plants on indoors beyond the seedling stage often results in tall, leggy, weak plants that are growing rapidly because of the central heating but struggling to get enough light from a window. One of the basic facts about plants is that they grow more quickly as the temperature rises. So if you wait and sow seeds later from late March into April, the plants can soon be moved into a cold frame or greenhouse where they will form strong plants that quickly catch up. Once all risk of frost has passed, half hardy plants can be acclimatised to growing outside. This is called “hardening off” and is needed because although not below zero, the night-time temperature will be significantly lower than indoors and this shock can stop the plant growing until the weather warms up. To harden off and keep plants growing you simply place them outside during the day and give them some protection at night. After a few days the cell walls thicken up and the plant can be planted out into the open ground.